The first Lions Club organized in Austin was the Austin Lions Club, chartered on October 19, 1944. The Austin Lions Club meets each Thursday from 12:00 PM to 1:00 PM at the Mower County Senior Center for a luncheon and program. 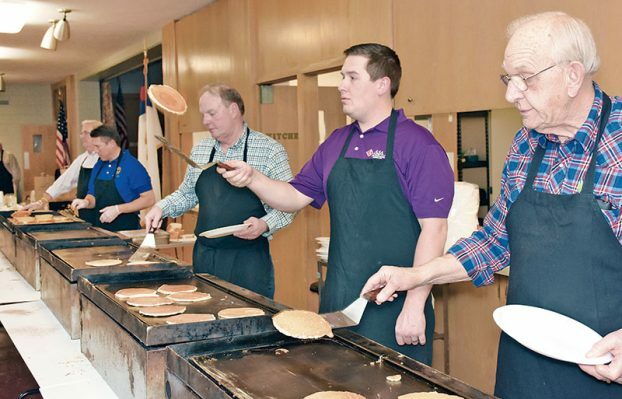 Fund raising activities of the club include: Pancake Day, Austin High School and Lyle/Pacelli Football Concession Stand, Pancake Grill Rentals, White Cane Day and participation in the Austin Go-Cart Unit. The major recipients of the fund raising efforts are the Lions Eye Bank Program, Camp Winnebago and the Lions Club International Foundation. Other recipients include: The Salvation Army Austin Youth Hockey, Baseball and Soccer Riverland Community College Scholarships The Lions Hearing & Lions Diabetes Foundations Many other Community and Youth Projects The Austin Lions Club members built and maintain the covered bridge at the Jay C. Hormel Nature Center. Austin Lions Club members collect used eyeglasses that are recycled and distributed to individuals who need them. The Austin Lions Club also sponsors the Lions District 5M1 Peace Poster Project. The Austin Lions Club sponsored the charter of the Austin Morning Lions Club on November 28, 1980. The official name of the Austin Lions Club is "Austin Lions Club", but with the charter of the Austin Morning Lions Club, the Austin Lions Club has also been called the Austin Noon Lions Club to differentiate between the two clubs. There is now an evening Lions Club, also.